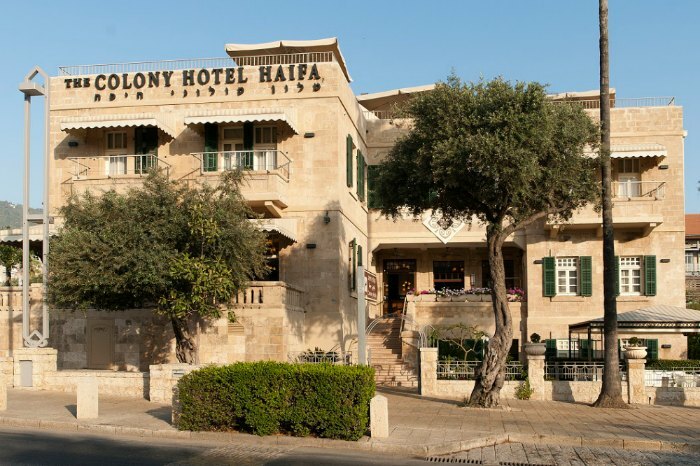 Colony Hotel Haifa is a historical boutique hotel. 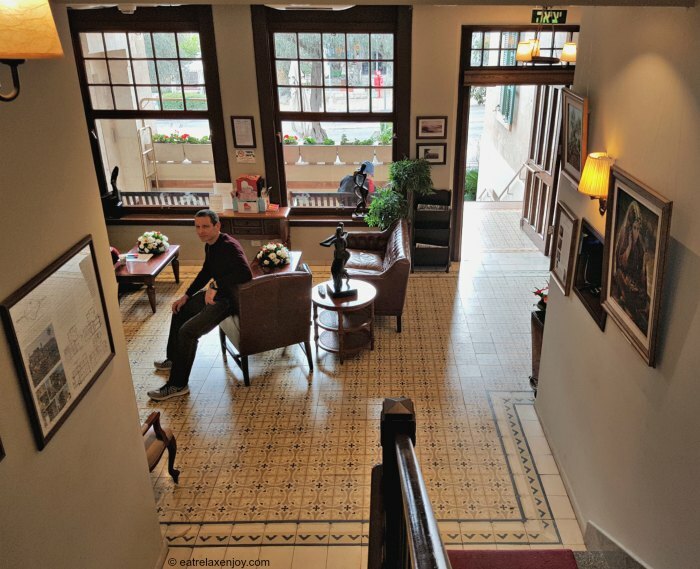 The hotel was opened in 1905 in the German Colony and since then it was refurbished while keeping the original Templar elements such as the floor and windows. Staying at this hotel is like going back in time. Ideal for a romantic vacation in modern comfort. I saw the Colony Hotel a few months ago when I walked in the German Colony. From that moment, it was clear to me that I am going to stay in this hotel on a romantic vacation! The dream came true last week. On a cold winter weekend, we took a romantic retreat. We arrived to the hotel on Friday afternoon. We felt the unique atmosphere the moment we saw the hotel. The hotel’s façade is beautiful - a combination of brick walls, green ancient shutters, and romantic white curtains. The symbol of the hotel, located on the building above the balcony, is an antique colored tile symbolizing the beauty of the hotel in which the original floor made of colored tiles was preserved. 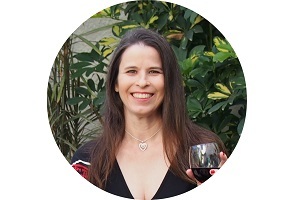 When we went into the hotel – we fell in love with it. 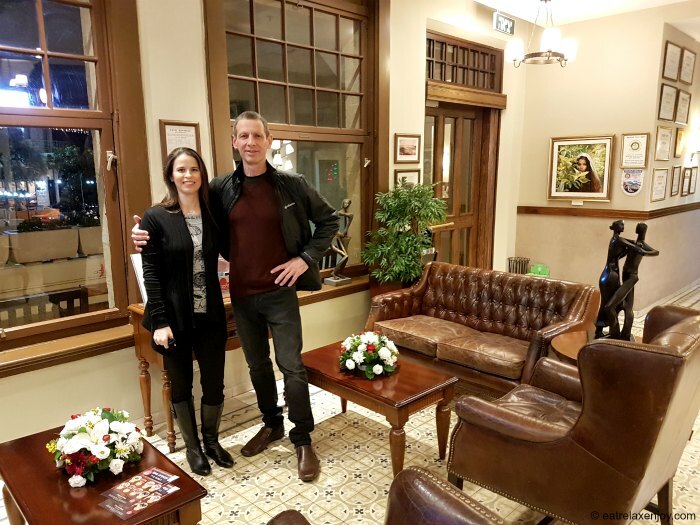 The hotel’s lobby is the original one, very small, furnished with brown leather couches, and decorated with art pieces and sculptures, just like it was a hundred years ago. That’s a wonderful moment to be photographed in the Colonial background, too bad we didn’t have the right clothes for this scene! We spent some time roaming around the hotel together; everything here is unique from the tiled corridors to the carpeted staircases. 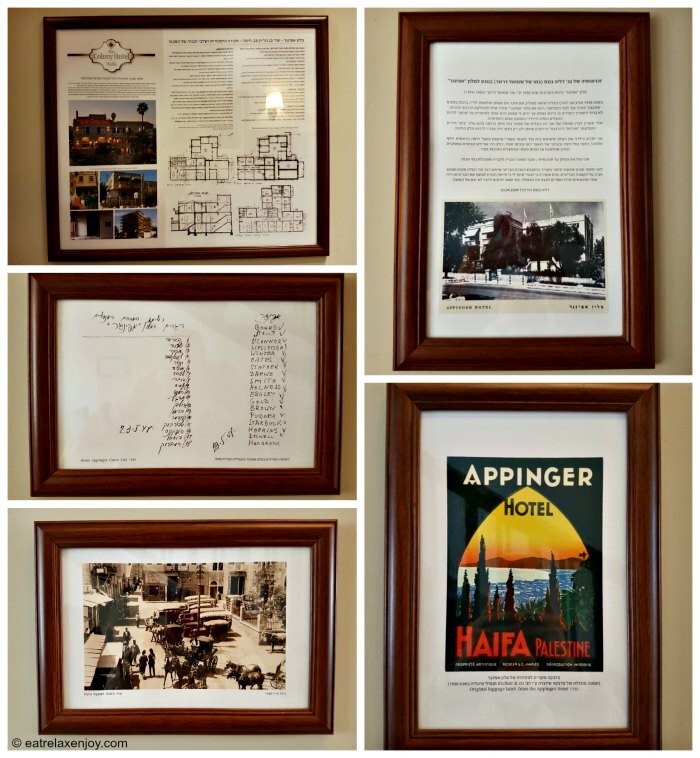 Near the main staircase, a small display of old documents including architectural sketches of the gradual growth of the hotel building, an old postcard from 1930 and registration of the hotel from 1948. Interesting! Today, the hotel has 40 identical rooms; some with balconies and Jacuzzi, and some only with a window and shower, but all are of authentic style and are equipped with modern amenities. We stayed in one of the best rooms of the hotel, on the third floor. A large room with a balcony, a Jacuzzi, old-style furniture, and the famous original tiles and green wooden shutters of the building. In the room we found two immaculate robes, chocolate, and two drinks coupons for the hotel’s bar. We were told that this is part of the regular hotel service. This is part of the small things that make the stay more enjoyable. Our bathroom included a huge Jacuzzi for two, rain shower (great water flow rate), two sinks and toiletries. 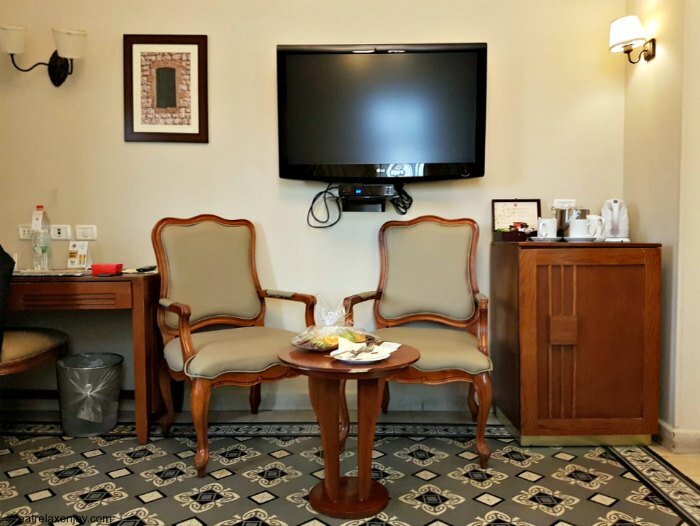 While the rooms are furnished as they were a century ago, they are modern, including flat screen tv, coffee making facilities, safe deposit box, and hair dryer. Breakfast is served in the intimate breakfast room. Also here, the original tiled floor and original large wood windows was preserved. Breakfast is very rich and of high quality, with a variety of cheeses, fish, vegetables, and desserts. There are many hot plates as well. 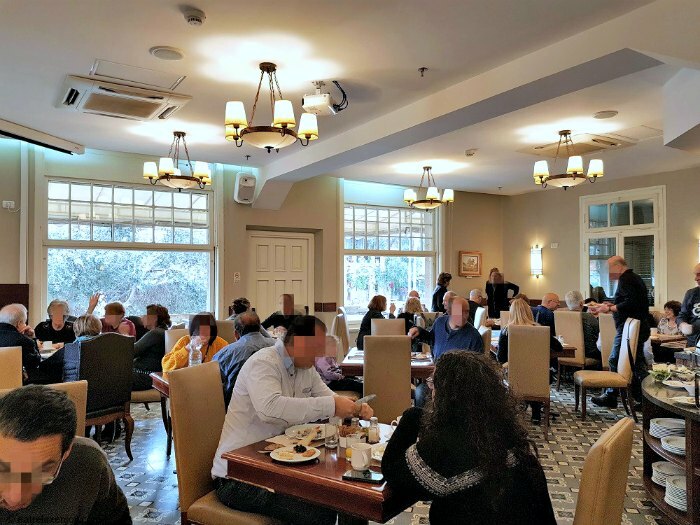 Breakfast is kosher, but during weekdays, they make eggs by order, fresh Belgian waffles, and there is always fresh Hummus with warm Ful and Shakshuka. Even if you don’t stay the night at the Colony hotel, you can have breakfast here, they take drop ins. The hotel only serves breakfast. There are many good restaurants in the German Colony. The hotel’s room service is provided by the nearby restaurant Shtroudl. 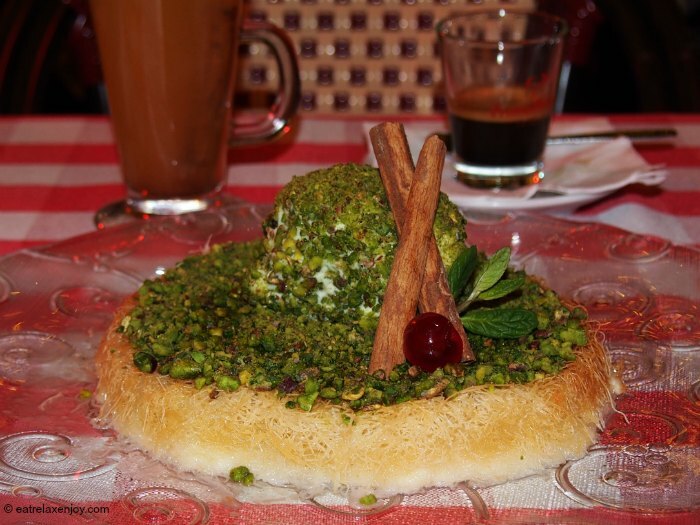 Shtroudl is an Arab Fusion restaurant with a diverse menu including also international food. Prices are reasonable and the food is very tasty. 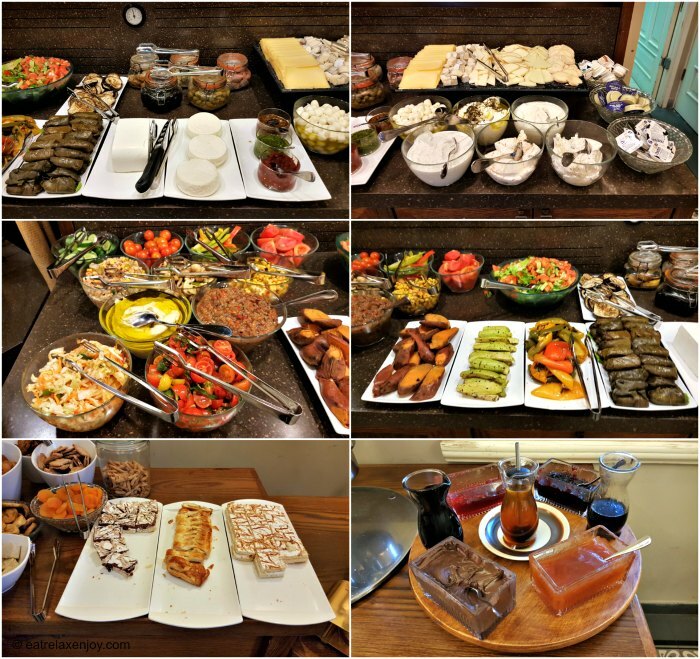 We ate dinner at Shtroudl, if you want to read more about it, and learn what are the most recommended plates, the article: Shtroudl– Arab Fusion Restaurant. The hotel does not have its own spa. The spa service of the nearby Colony G Spa is offered to the hotel guests. 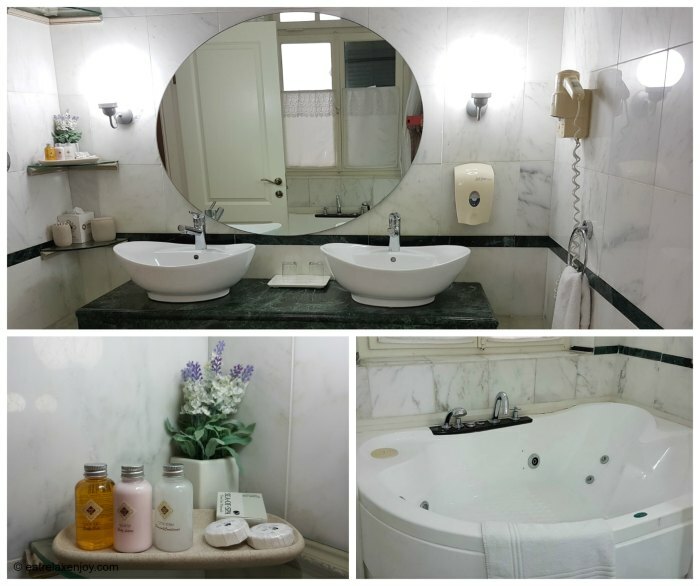 The spa is not luxurious but it is well-equipped and has a large group-jacuzzi and a sauna, and the spa’s customers get a clean robe, spa slippers, and towels for the day use, and also some refreshments. 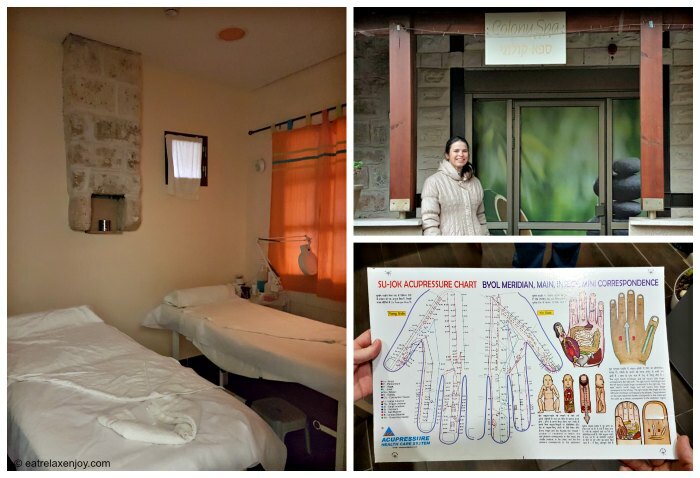 The spa is run by Munir, who specialize in Su-Jok (similar to reflexology, but for the hands). The spa has three massage room, two are double for couples. There are some really good bargains here, including breakfast at the Colony hotel, or at nearby restaurants like Shtroudl. The hotel also has a meeting room, a garden, an open roof terrace, and a bar. They provide event services. 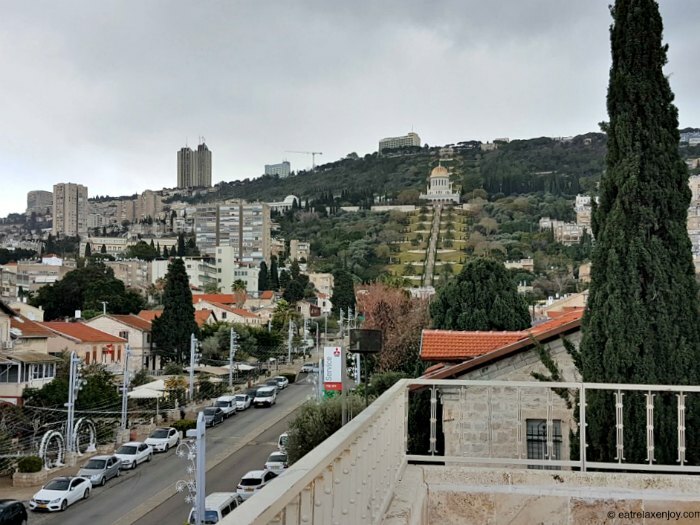 From the roof and part of the rooms (as well as from the breakfast room balcony) the view is beautiful – to the German Colony, the Bahai gardens, and the bay. Here’s the view from the roof to the Bahai Gardens, and the German Colony. It was a bit cloudy when I took the picture, but still beautiful. The hotel’s location is excellent. 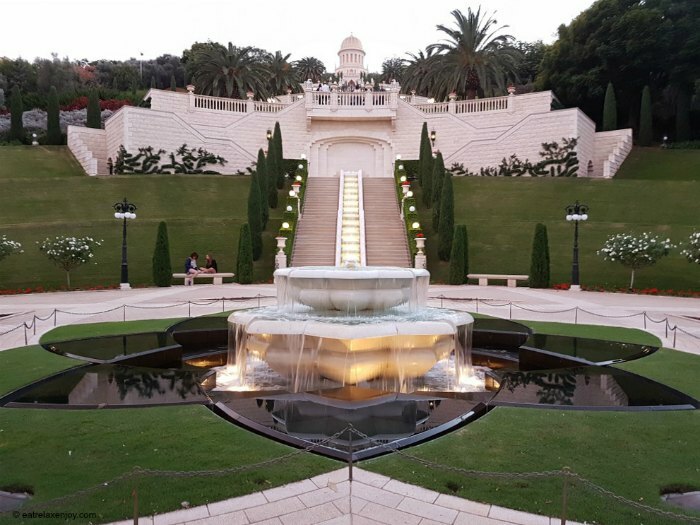 In the heart of the German Colony, and within a walking distance from Wadi Nisnas, an Arab neighborhood famous for its cultural scenery, and a stone throw from the lower entrance to the Bahai Garden – where I took this picture. 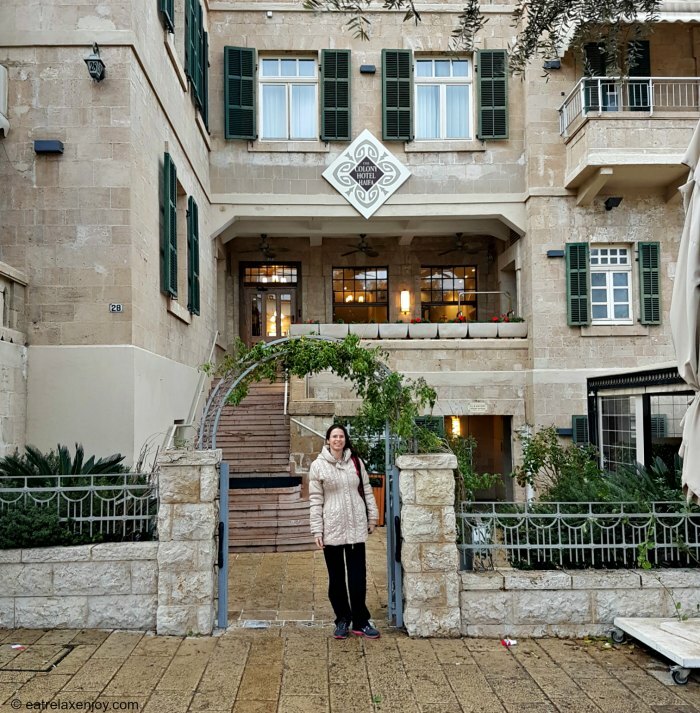 Staying at the Colony Hotel Haifa was a romantic experience – a beautiful hotel with excellent service, good food, nice sights, and relaxing spa. I highly really recommend it, a really unique hotel!